Verdi, Nevada is located 10 miles west of Reno on the Truckee River. Verdi is also located on the Nevada California border with part of the town being located in California. Verdi was a logging town with a network of railways that ventured into the hills to the North and West until the fire of 1926 and the lack of timber put the logging industry in Verdi out of business. There is still a pond in the heart of town that was used for storing logs. Verdi is also known for the great Verdi train robbery that took place in 1870 with over $40,000 in gold coins that were stolen and some of it still has not been recovered to this day. Real Estate in Verdi is very diverse from small railroad cottages built long ago to some of the most desirable custom lots and homes in our current market plus everything in between. 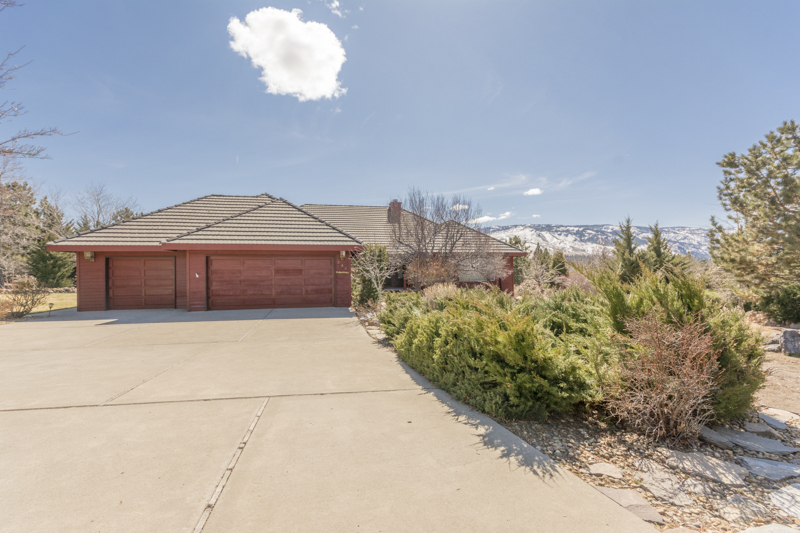 One level on one acre located one block from the Truckee River. Gated area of Donner Trail Estates in Verdi. 2788 sq. ft. with 3 bedrooms, 3 bathrooms and 3 car garage. Call to see this home today. For a list of all the sold listings in the Verdi area click here. Prices range from $250,000 to $2,000,000 for a beautiful home right on the Truckee River or live in the gated community of River Pines. Verdi also offers a section of the river that is known as the trophy section for trout fishing. Verdi Elementary school has been rated as the number two school inWashoeCounty for the last 15 years for the quality of education you can get there. I have had a lot of experience selling Real Estate in Verdi over the years so call me now with any questions that you might have at 775-771-1783. Let my 24 years experience in the Reno Real Estate market and dominate internet positioning put your home in the forefront of the 80% of buyers who are looking for homes online. Click Here for the sold listings in Verdi over the last six months. Call or email me today and let me put together a customized marketing plan for your home. There are some exciting things currently taking place that makes Verdi Real Estate in demand, such as the new Crystal Peak golf course that is on the river and woven in the trees of the Crystal Peak mountain range. Cabela’s opened a 125,000 square foot virtual museum of hunting and fishing equipment on I-80 next to Boomtown and there is an industrial park planned in the next couple of years.